PLEASE NOTE: Our session dates have been changed since originally posted before the February snow. We may also be adding a mini pre-session which would start on June 24th but we are still working out those details. Evening lessons schedule had also been posted. Check the lessons link above for more info. This entry was posted in Uncategorized on March 5, 2019 by manager. PLEASE NOTE: We know many people like to plan out their summer camp and swim lesson schedules early but we wanted to let you know that our previously posted summer session dates, especially with regard to session 1, may be modified due to these February weather related school closures and the subsequent make-up days added to the school calendar year. We will update accordingly, but please check back once we thaw out. This entry was posted in Uncategorized on February 5, 2019 by manager. We are looking for an enthusiastic individual to fill the role of Assistant Swim Coach this coming season. Please send a cover letter and resume to Matt Miller and/or Chris Matsumoto This posting will close on February 15th. This entry was posted in Uncategorized on January 28, 2019 by manager. Here is the updated pdf Web Wait List for the 2019 Season, including all entries received/postmarked by Sept. 1, 2018. Any name in RED should contact us as their WL record is incomplete. This entry was posted in Uncategorized on October 21, 2018 by manager. Happy final two weeks of the season! The guards have been missing the feel of a busy pool recently so come on down for a swim! 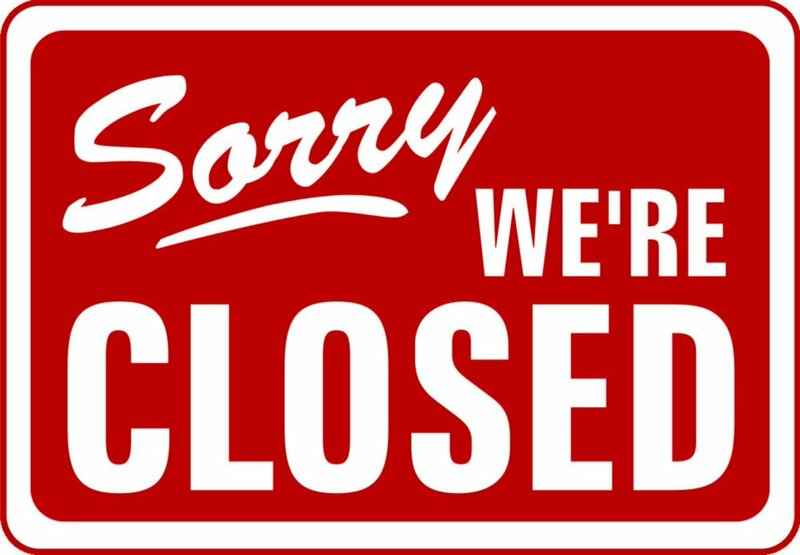 The pool will be closing for the year on Sunday, September 16th, and hours are going to be changing from here out. You might want to double check the schedule prior to coming though as showing up to a closed pool is never fun. Primarily due to staffing we won’t be scheduling any more parties on weekdays for the remainder of the season, and on the 15th and the 16th, the pool will be open to members only, so bring your guests now and enjoy the clear, beautiful pool and smoke-free weather. Tomorrow is Labor Day! The biathlon will take place at 9:30AM with warmups at 9AM. Come and swim! Find a running partner! After that, we will have the Wedgwood Pool Ping Pong Tournament at noon. We have seen many patrons practicing their ping pong skills all summer, now is the time to put them into action. And finally, from 2:30-3:30, we will have Labor Day Games. In case you get hungry, the Bean Fish food truck will be back again from 2-5:30. Come and get it before you can’t! We would like to invite our Wedgwood pool friends to participate in our first off-season Adult Lap Swim at View Ridge. We have several VR members who have signed up, and have a limited number of spaces open for non-member friends at WW who might be interested. Please email me, Bruce Gillespie, Club Manager, at mrgillespie@vrstc.org with your full name(s), mailing address, email address and cell phone# along with the fee option you choose. We will contact you to confirm the details. Payment will be due on your first swim, and can be paid with credit card or check payable to View Ridge Swim Club. We are excited to offer this opportunity to our fellow WW friends, and look forward to hearing from you. If you have any questions regarding the program, please email me at the above address, or at vrstc@vrstc.org at any time. This entry was posted in Uncategorized on September 4, 2018 by manager. I have a whole new respect for what school districts go through now when it snows out. Continually monitoring the weather and having to make programming decisions takes significantly more mental effort than I thought it would. Strange days indeed! Last week I said things were starting to wind down at the pool, how prophetic was that? While summer seems to have packed up and left, we still have one week of full time operations, baring of course any more smoke related schedule changes. The forecast unfortunately is looking like more of the same, so it’s likely going to be wait and see again for a while. Now I know that this week is going be a little more challenging for me with keeping everyone updated as I will be heading to southern California to drop off my daughter at college. While I’ll still be able to monitor things from afar, I won’t have immediate access to, or likely be able to update the pool web page, or send out emails Wednesday or Thursday. I should however be able to update the club Facebook page while on the road as it’s way less complicated and can be done mobily. So if you don’t already follow the page, click here Wedgwood Swim Club, or search for the Wedgwood Swim Club Facebook Page, then like the page so you can stay in the loop. Remember this week we are set to be hosting the SSSL Water Polo Championships on Thursday, August 30th. The pool will be closing early at 3:30 on the 30th. Early Morning Lap Swim will wrap up for the season this Friday, August 31st. Also please remember that the Roosevelt Women’s Swim Team is scheduled to be holding practice Monday through Friday at 7:30am. Be prepared for a few more people coming in right about the time this lap swim ends. Aerobics will is scheduled to run Monday, Wednesday and Friday this week form 12:30-1:15pm. Friday will be the last day of Aerobics this season. Labor Day is really right around the corner now. Our annual Biathlon will be at 9:30am with warm-up starting at 9. Ping Pong Tournament at Noon – just come and play. The pool will be open from 12-7pm. Games galore will be from 2:30-3:30, and we’ll also have the BeanFish food truck onsite from 2-5:30pm… yum! This entry was posted in Uncategorized on August 26, 2018 by manager. All morning I have monitoring the numbers and they have remained pretty much unchanged. The AQI – air quality index is indicating that we are pushing the upper part of the unhealthy for sensitive groups. At this point I know we’ve had so much cancelled pool time I really would like to be open, but I think it’s better at this point if we delay opening a bit today. We’re shooting for opening at 2pm, however if the conditions warrant, opening may be further delayed. So, unless you hear otherwise we’ll be open at 2pm. This entry was posted in Uncategorized on August 25, 2018 by manager. Based on current conditions and the forecast for continued improvement, we will be open for lessons, polo, and regular hours today! This entry was posted in Uncategorized on August 23, 2018 by manager. We are all anxiously playing the waiting game now… when will this end?! That is the question, and the answer is about as clear as the view off of my deck has been for the last 3 days. At this point in the evening I need to start making decisions about at least the first part of the day tomorrow. Based on my best educated guesstimate I am cancelling both EMLS and Aerobics tomorrow morning, Thursday, August 23rd. The decision on lessons and polo will come in the morning about 7am. As far as open hours go tomorrow I’m extremely hopeful that I will be able to send some good news your way around noon. This entry was posted in Uncategorized on August 22, 2018 by manager. The pool will be closed all day Wednesday, August 22nd.